Wildlife & Adventure with The Shark Brothers! An Excuse to Get Wild! 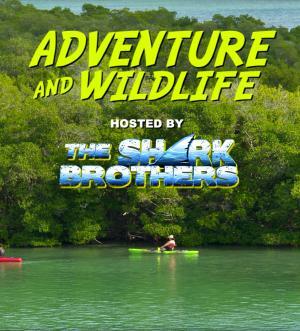 The online web series Adventure & Wildlife – Hosted by the Shark Brothers debuted Oct. 14 during a press conference at the Charlotte County Cultural Center. Episode 1 of the series is available for viewing on YouTube.com/RealPureFlorida and is part of the Punta Gorda/Englewood Beach Visitor & Convention Bureau’s marketing program aimed at attracting visitors to Punta Gorda and Englewood Beach interested in soft-adventure, nature-based activities and getting out to explore Florida’s wild outdoors.